How effective SEO techniques can help you gain better on-line traction? In today’s Internet age, lack of website traffic is one of the most common challenges that majority of business owners usually come across. They vie for strong on-line presence and persistently seek new on-line marketing strategies to drive significant traffic to their website. Organic SEO is undoubtedly growing progressively more complex as the number of websites on the Internet is mushrooming exponentially, and the number of various social media websites is proliferating at a faster pace. As a result, it is not that easy to get a first page ranking on Google. You need to invest your time and money in search engine optimisation to achieve a front page ranking on organic search engine for a highly searched keyword phrase. After all, there are only 10 on-line spots that everyone aspires to secure. But with this growing proliferation of websites, have you ever wondered how you would be able to ensure whether your website is noticed by the target audience or not? This article is an attempt to share with you some of the most effective search engine optimisation techniques used by SEO companies to help you drive relevant traffic to your website. You will certainly feel amazed knowing how rapidly these techniques can generate desired results ensuring improved sales conversion rate. Comprehensive website audit Over past few years, Google has become more stringent with its penalties for everything right from excessive use of reciprocal and broken links, duplicate content and meta tag to keyword stuffed content and link spam. Getting comprehensive website audit has become order of the day. If you aren't, then possibilities are that you may end up getting a surprising message from Google notifying why your website visits have unexpectedly dwindled to a great extent. Before it’s too late, better is to consult SEO experts. Hence, outsourcing search engine optimisation services to an external service provider can help you in getting quick resolution for sudden downturn in site metrics. In-depth keyword analysis Are you using keywords that are relevant to your site’s content? Will on-line visitors be able to find what they actually searching on your site when they search using same keywords? If your answer is NO, then it is high time to look for right assistance. In-depth keyword analysis is one of the most significant, valuable, and result-oriented activities in the search marketing domain. It helps in predicting fluctuations in demand and changing market scenario. With search engine optimisation services, you can get the best exposure on the major search engines like Google, Bing, and Yahoo etc. A pool of SEO specialists and keyword analysts leave no stone unturned to get you the right kind of on-line visitors on website. Quality link building Are you aware of the fact that for search engines that crawl smoothly through the realm of web, links are the main pathways connecting different pages? Majority of website owners spend their time on content and forget to focus on quality link building, which in turn impact their site ranking. It is one of the key strategies implemented in SEO. Building links is a challenging process as not all links are generated in same manner. High quality links are not that easy to come by. So, the main question is- how you can build quality links for your website? Here comes the role of outsourced search engine optimisation services. With use of sophisticated link analysis tools and techniques, SEO experts can help you gain desired traction, attention and traffic from the search engine. In the bottom line: In view of harnessing the benefits of on-line marketing, many companies are nowadays investing larger chunk of their marketing budgets in SEO campaigns to drive more traffic and outsmart their competitors. 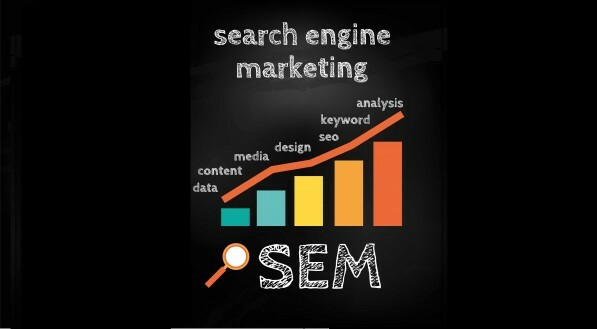 IF you want to get a grip on your web marketing campaigns, then do seek professional assistance for optimal search engine optimisation techniques.